Offering a chat option on your website provides loads of new leads that can increase sale by 30 percent. What’s more, you won’t have to spend a dime on lead generation. Providing a live chat feature on your page is a good first step towards increasing your monthly revenue. However, it shouldn’t be the only one. Personalization through chat – how can a more personal approach to business lead to an increase in sales. Using chat greetings to save carts – you can take on cart abandonment in your web store by preparing several, well-timed, automatic chat invitations. Discovering customer pain points – only when you know where your customers encounter the most problems, you can make adjustments and increase sales in return. Gaining trust with customized chat – nothing builds trust in customers like the knowledge that they can always ask for help on your live chat. 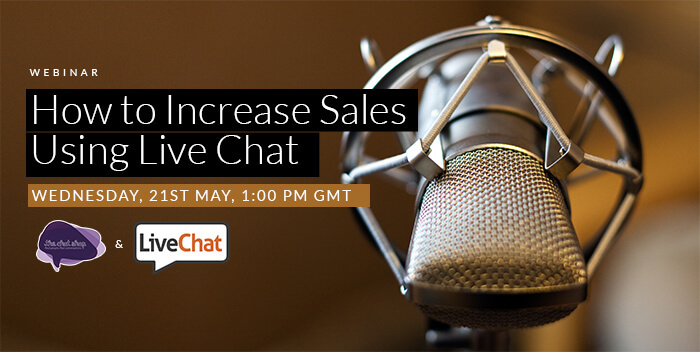 Over the course of the webinar, you will be able to learn why and how chat customization helps to increase sales for your company. We will also show you how decrease abandonment rates of your shopping cart with a few tailored chat invitations. You don’t need years of live chat experience to participate. We’ll try to keep everything simple, yet informative, so that everyone can learn something new. Hope to see you there! Photo courtesy of Josh Lloyd via Creative Commons.